Keeping your home clean is not just about making it look nice. Thorough cleaning is also essential to help prevent the spread of infectious diseases like MRSA, E coli, Campylobactor and Clostridium difficile (C. diff). So what can you do to help to stop the spread of diseases? Here we run through some of the key things you can do to make your home more hygienic. It’s important to clean the surfaces in your home regularly either with soap and water or antibacterial household cleaning products. But if the products you’re using to clean are already covered in germs then you’re just going to spread germs around the rest of the room. You should disinfect cloths, sponges, mops etc. after each use and be sure to wring them out so they dry quickly. You may also want to consider using disposable wipes or towels where possible. Insects are a major carrier of disease and can spread germs very quickly around your home. 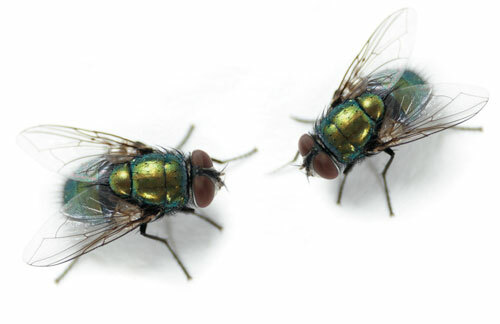 Adding fly screens to your kitchen windows can stop insects crawling over your food and work surfaces and help to prevent the spread of infectious diseases carried by the pesky little blighters. Insects are often attracted by food so make sure everything is well wrapped and put away in cupboards. You should also make sure you have a lid on your bin and empty it regularly. You may not know that germs are just as likely to be found in fabrics as they are on surfaces. Damp towels for example are a breeding ground for bacteria and should always be hung up and dried quickly to avoid build-up. You could also try using a steam cleaner to quickly disinfect curtains, carpets and upholstery. This will help to kill germs without harming your fabrics. Pets can pick up lots of dirt and bacteria on their feet, their coats and particularly in their mouths. For that reason it’s a good idea to clean your pet’s feet and give them a brush down when they’ve been out of the house. Regular bathing is also important to keep pets from spreading bacteria around the house. You should also try to wash food bowls and pet toys separately rather than mixing them in with your normal washing up. Your toilet is one of the most likely places for bacteria to congregate so requires extra attention. Be sure to flush immediately after each use. Studies have shown that bacteria can spread to other bathroom surfaces if you leave the lid open when you flush so make sure to put it down beforehand. You should use an antibacterial toilet cleaner or bleach every couple of days and give the bowl a scrub with a brush. It’s also a good idea to disinfect the handle, seat and rim regularly and, of course, wash your hands afterwards. These are just a few ideas that can help to make your home more hygienic. We’d love to hear your thoughts. What do you do to keep your home hygienic? Leave us a comment.